This is run annually, normally towards the end of April, by Petersfield Lions Club. 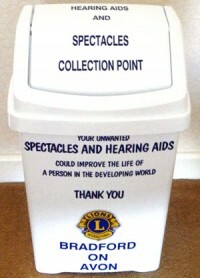 Used spectacles are collected from participating Lions clubs at a number of designated pick-up points. They are then passed to Chichester Lions Club for initial sorting prior to optical grading and onward despatch to Third World Countries. Many of these spectacles are given to patients treated at Eye-Camps – http://www.lions105ea.com/specialist_officer/lehp.html – which are often sponsored by Lions Clubs. The 34th year collection was at Gillingham Town Hall on Sunday 17th April 2016, where 8 Clubs submitted a total of 26,332 pairs including 650 pairs of glasses (plus 21 pairs of tinted) & 21 hearing aids from Bradford on Avon. The grand total from all collection points over the past 34 years is around 3 million. Over the period over £100,000 worth of gold has been salvaged which has been used to help charities in Africa as well as the spectacles. 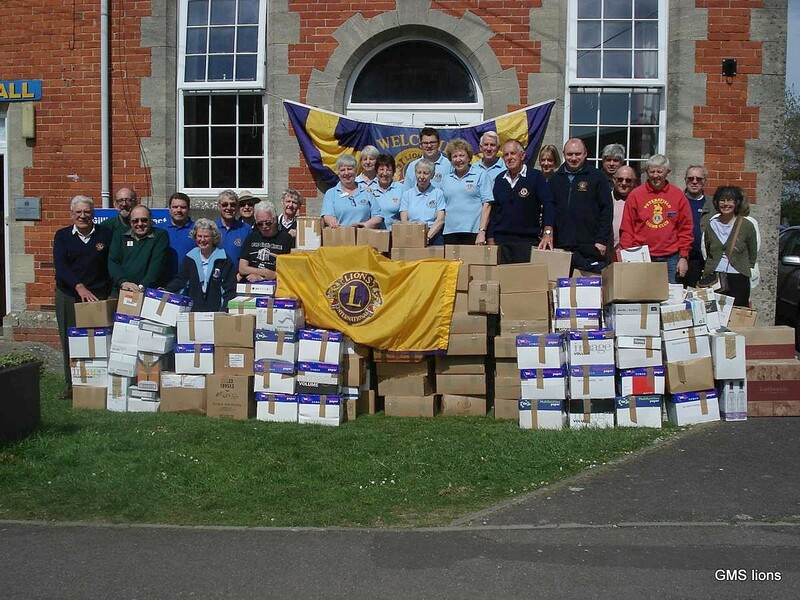 Chichester Lions store the packages and arrange their shipment across the channel to Le Havre to the charity “Medico France”. This charity, which was set up by Lions Clubs in France, then grades the specs and prepares them for the last leg of their journey to sight projects in Africa and Asia. There is a good relationship between Lions in France and Chichester and they visit several times a year to pick up sorted specs for delivery to Le Havre. Some are also taken free of charge by “Fraser Freight”, a haulage company based in Portsmouth. Although no grading takes place in Chichester, some of the rough sorted specs are sent to a prison just outside Durham where prisoners grade them with equipment donated to them and then these specs are sent on to France in the normal way. Any money collected en-route or donations received from other clubs, is donated to the Lions Sight Savers Trust for Comprehensive Eye Services. Should you have any old spectacles (or hearing aids) lying around, or are able to arrange for them to be collected on our behalf, would you please contact Ken Giles (01225 863349) who would be pleased to hear from you, or alternatively you can deposit them in the ‘Lions’ bin in the Bradford on Avon Health Centre.